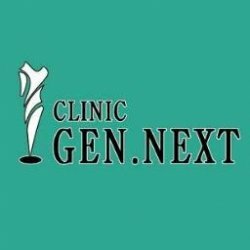 Clinic Gen Next is a venture started in Delhi by the team of Highly Qualified Doctors at the Clinic Gen Next we are strive to provide quality medical and aesthetic treatments at very competitive prices and are affordable by masses. We do not suggest any unnecessary treatments. If our patients are happy, we are happy! The ambience, the services provided and quality of the treatments provided makes visit to our clinic a delight.